Too often, artists, musicians, designers, authors, and other creative folks are better at making art than dealing with money. Even successful creative professionals often fall prey to the hazards of self-employment, variable income, and a career path that’s anything but obvious. Elaine Grogan Luttrull is out to change that. Luttrull went from the high-finance world of New York City to a financial advising practice, Minerva Financial Arts, focusing on artists and arts organizations. She also teaches financial skills at Ohio State and other colleges. 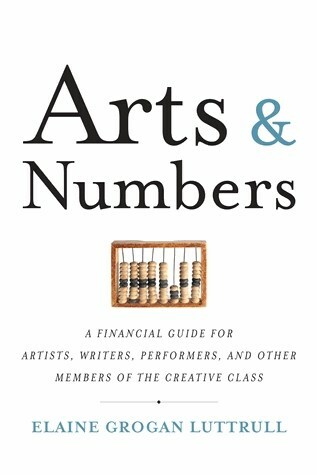 Luttrull’s new book, Arts & Numbers, is a financial guide for creative people. The book is loaded with specific advice and speaks to artists and creatives without talking down to them. MintLife: A lot of creative professionals seem to believe there’s something suspicious about a creative person who isn’t in debt. That a successful creative person is miserable, or a sellout, or both. Why do people believe that? Luttrull: I don’t know if it grows out of a desire to rebel against all of our traditional measures of success, where you have a retirement plan or whatever. MintLife: I think it’s kind of a punk-rock thing. I started teaching art classes in my neighborhood when I was nine, for the other kids. If I’d had access to the internet, I would have had an Etsy store. I could be entrepreneurial at nine, but on a much smaller scale. Now people have the opportunity, thanks to the advent of technology, to really take their entrepreneurial dreams to a much larger audience earlier in life, and because of that, I think they’re more comfortable with these entrepreneurial concepts—among them the idea that you have to have some money, because you have to pay to be in Etsy. MintLife: Why did you write this book? Luttrull: I’ve always been drawn to the arts and artistic pursuits, but always in hobby form. I never had the confidence to pursue them professionally, although I’ve always returned to the arts, whether it be writing or painting or dancing or whatever, when I’m feeling the need for a little more fulfillment. Not everyone wants an MBA or has that as their ultimate goal in life, and just because I happened to study accounting and economics, that didn’t hinder or hamper the creative part of myself. I think it made it better, because it exercised a different area of my brain. I started volunteering with small arts organizations that needed tax help. They couldn’t pay for tax help, so I joined their business volunteers for the arts program, and I enjoyed the work so much I decided I wanted to do it full time. When we moved to Ohio two years ago, it seemed like a really good time to see if I could make the business a full-time thing instead of a nights and weekends thing. And now I teach the same skills I’ve been sharing with my clients for years, and I teach them at the college level and at presentations around the country. 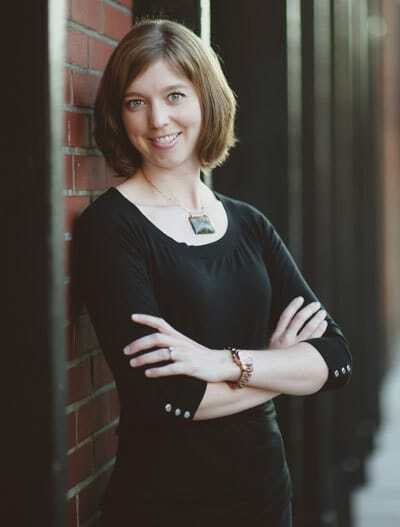 My business is just me one-on-one with clients, but my teaching and writing—and that’s the origin of the book—is an effort to share everything I was telling my clients with a broader audience that wouldn’t be able to sit down with me for an hour. MintLife: What are some of the special challenges of dealing with money as a creative professional? How much of what you deal with, working with clients, stems from the artistic temperament, and how much of it stems from the fact that so many artists are self-employed and have complicated taxes, retirement saving, and insurance? Luttrull: I think a little of both. There’s certainly challenges and very positive things that come out of not only the artistic temperament but also the unique challenges that artists, and freelancers more broadly, face. I think the fact that their income is variable is a big challenge, because it’s not predictable. There are really good months and there are really bad months, so that is a huge challenge. But also, beyond that, is the rotating set of projects and clients. I do freelance work, in the sense that I’m an adjunct, and I do writing for different publications, on top of serving clients. I have some projects that happen every year, but there are also projects that change all the time, and sometimes opportunities come up, and I’ll say, “Yeah, I’d like to do that,” and I’ll figure out a way to do that. So the fact that the projects rotate and continually change is a unique challenge for freelancers and artists. And then the sense of evolving goals. Sometimes our more traditional counterparts have a very clear career path outlined. They’re going to start at this entry-level job, and after some amount of time they’re going to be promoted or seek employment elsewhere to move up to the next level. It’s not always perfectly clearly defined, but it’s more predictable. You know you’re going to advance on this particular trajectory throughout your career. For creative individuals, our goals are not necessarily simply just to advance. Sometimes our goals change. We want to pursue something different, or pursue something personal, or change our outlook entirely. MintLife: What you’re describing has happened to me at least six times over the course of my career. Luttrull: And it’s supposed to! We live in this world where we crave this ongoing stimulation. And sometimes that means shaking things up a bit. To do that is perfectly fine, but that brings with it an extra challenge, financially, because sometimes shaking it up means we sacrifice a little bit financially for a time, and we have to plan for that and be aware that that’s the price we have to pay for our creativity.